To make the rhubarb gin, first pick or buy enough rhubarb. 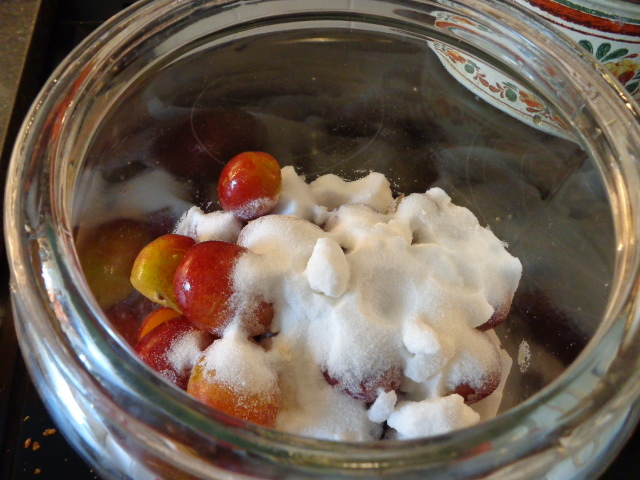 Then chop the leaves off and discard, and chop the stems into inch long pieces and wash.
Add to a clean glass jar or demijohn, together with 400g of sugar. and finally the lemon juice. Then strain the rhubarb off and you are left with lovely pink rhubarb gin. Already in just an hour the gin has started to turn pink. 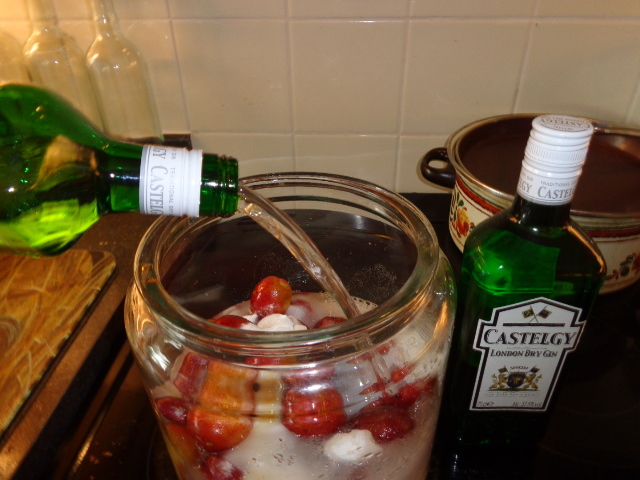 You can then make a G&T in the normal way or add a little rhubarb gin to champagne for some extra fizz. Enjoy!! 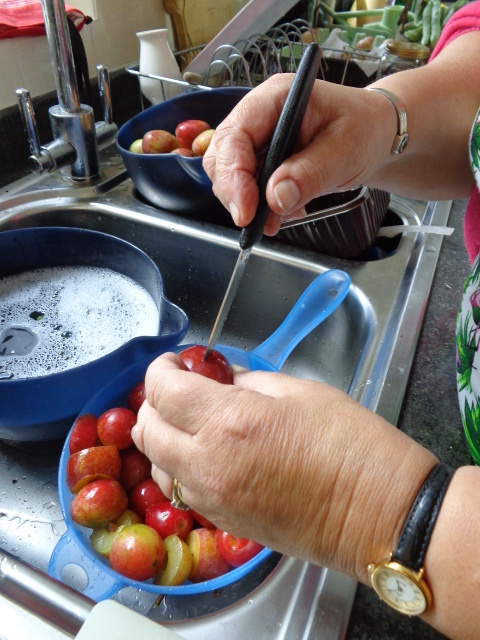 The first thing to do is pick your plums and sort out those that are ripe. 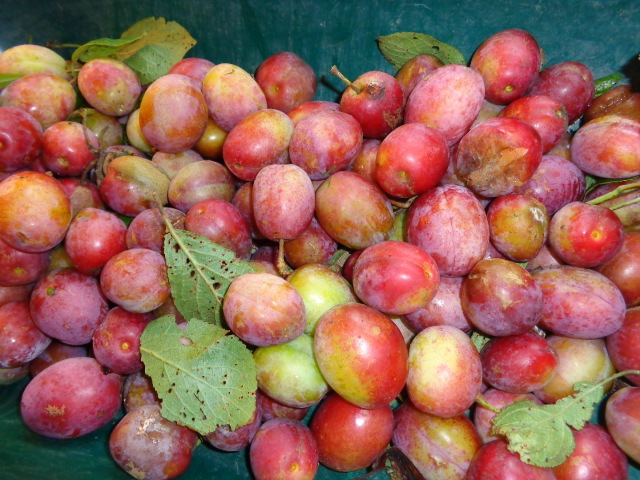 We have a Victoria plum tree so we always use those. Destalk them and wash them, then prick them all over with a knife. 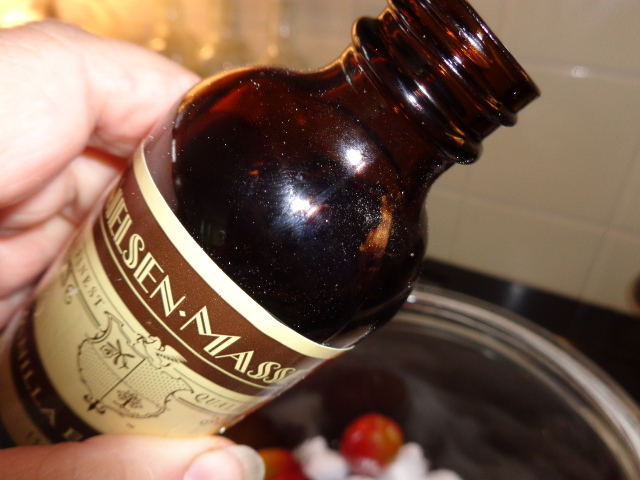 Weigh them, you need at least 500g fruit to every 70 cl bottle of gin and 250g of caster sugar. 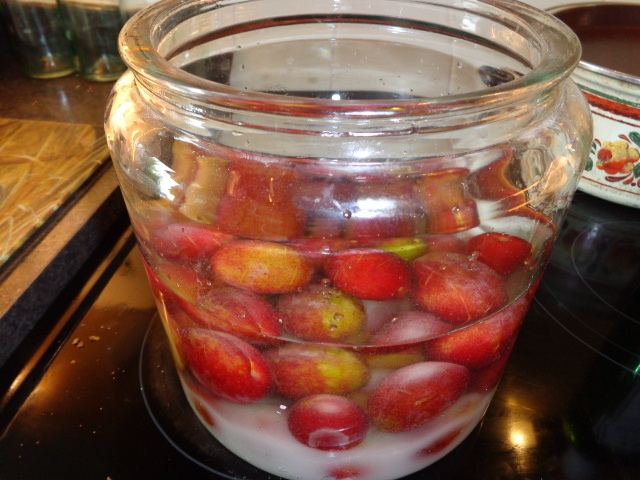 I made double and put in a few extra plums for good measure. 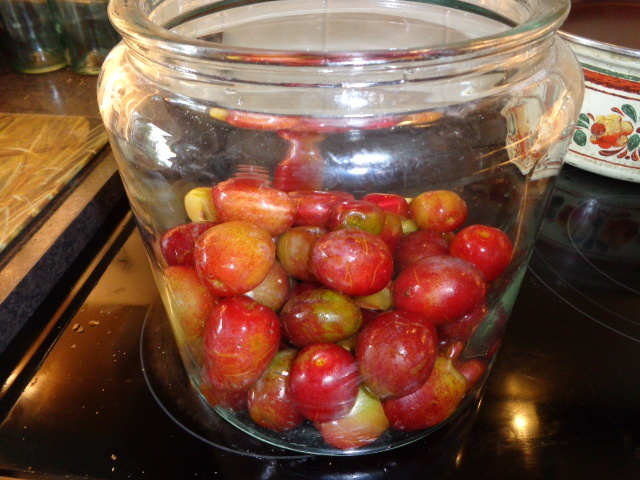 Add these to a suitable container such as a wide neck large jar. Next weigh and add the sugar. 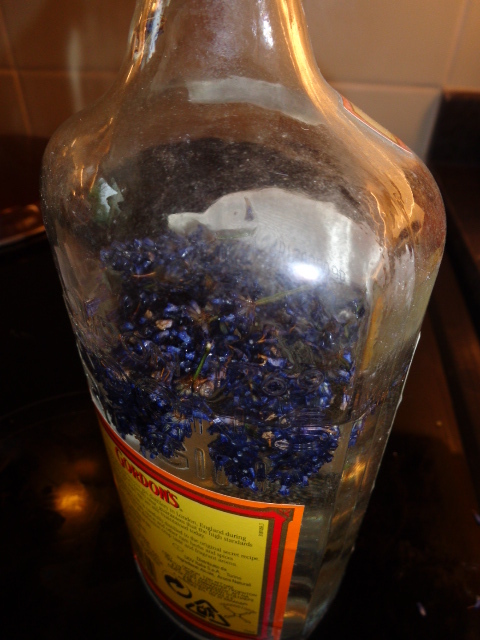 Then add 4 drops of vanilla essence per 70 cl of gin. Then put the lid on and give it a good shake. Shake every day for a week, then every week for a month, then just every now and again. 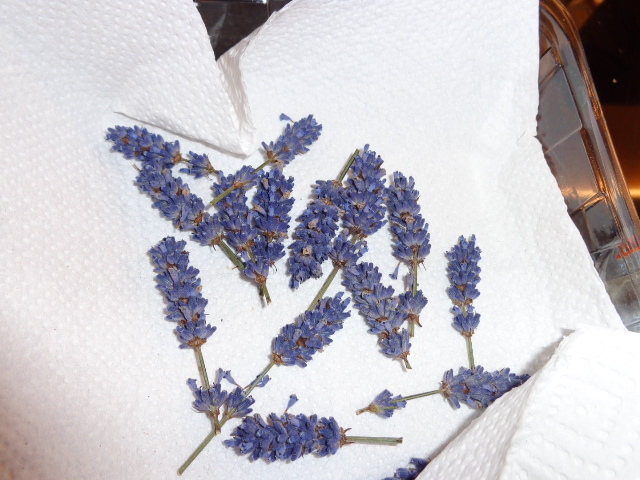 Leave to marinate for approx. 4 months. If you make it now it should be ready for Xmas. 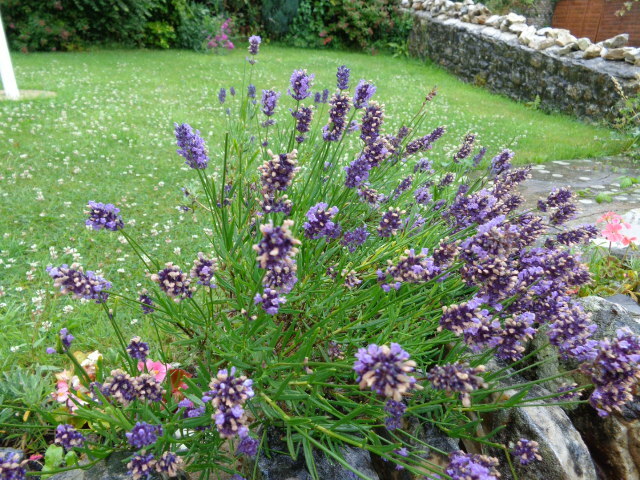 You can use the same basic recipe for sloe gin or damson gin. With sloes you need to put them in the freezer for a couple of days first to imitate frost, then follow the same steps as above in the same quantities. Whatever fruit you use it turns out delicious!! Much to be recommended.